Channel Islands National Park. Comprised of five in a chain of eight southern California islands near Los Angeles, Channel Islands National Park is home to a wide variety of nationally and internationally significant natural and cultural resources. Over 2,000 species of plants and animals can be found within the park. However only four mammals are endemic to the islands. One hundred and forty-five of these species are unique to the islands and found nowhere else in the world. Marine life ranges from microscopic plankton to the endangered blue whale, the largest animal to live on earth. Archeological and cultural resources span a period of more than 10,000 years. 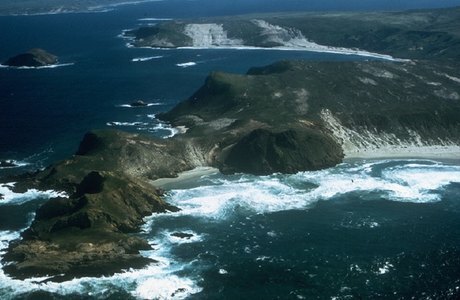 The park consists of 249,354 acres, half of which are under the ocean, and include the islands of San Miguel, Santa Rosa, Santa Cruz, Anacapa, and Santa Barbara. Even though the islands seem tantalizingly close to the densely populated, southern California coast, their isolation has left them relatively undeveloped, making them an exciting place for visitors to explore. ©2000 ©2003 ©2006 ©2009 National Parks Vacations - Photo Credits: US National Parks Service (used with permission). ©2009 Acme Weatherwerks - Current Weather Conditions and Weather Forecast Reported by NOAA on from - NWS Watches Warnings or Advisories are updated every 2 minutes.